So you are having trouble keeping your pipe lit are ya? Well take comfort that there is help, that its nothing unusual, and you are not alone. Here are some basic tips to help if you are new to pipe smoking. #1: Make sure you are packing your pipe correctly. See articles on this blog about methods of packing a pipe. After learning a proper packing method then you just need practice. You do not want the tobacco packed too tight or too loose both are bad. Make sure the tobacco after being packed is still spongy to the touch. #2: Char the packed tobacco before lighting also called the False Start. I think you will find you will have to do less relights if you scorch before lighting. To do this light the bowl and take a couple nice even draws. Let it go out and very gently tamper it down. Make sure you do not apply force just ever so slightly. Then repeat by lighting and taking another couple of nice even draws. Let it go out and tamper again. If the top of the tobacco is blackened evenly you are now ready to do the final light or True Start. #3: DO NOT puff so hard. If you are a cigar smoker or former then this especially applies to you. Cigar smoking, for me, was about big volume and tasting big billows of smoke roll off the tongue. However, if you come to the pipe and do that you are gonna tarnish the taste of the tobacco, the opposite of cigar smoking. And by puffing so hard the tobacco is gonna burn too hot and scorch your tongue with steaming hot smoke, "tongue bite." Drawing out the flavors in pipe smoking is more about "sipping" the smoke out of the bowl. Just flip flop your methods of cigar and pipe. It takes practice and time to learn. Do I always have to "sip"? No. You will learn eventually nuances and certain puffing techniques will draw out certain characteristics of the various tobaccos in a blend, etc. 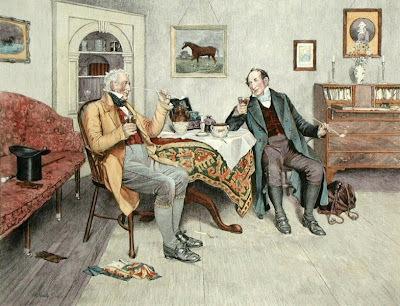 The key is to start slow and rhythmically but do not start off puffing like a cigar or a train you will not last long and will have missed all the glorious subtleties of pipe smoking, and we don't want that. I'm getting gurgles of sour spit coming up the stem of my pipe...help! It is most likely not spit but "dottle" caused by either puffing too hard or the tobacco is considerably moist in the bottom of the bowl. It maybe saliva if you are a "wet" smoker or you are blowing excessively into the stem. You can either stick a pipe cleaner down the stem to clear some of the excess dottle out. DO NOT remove the stem to clean while pipe is hot. You risk breaking the pipe at worst and at best the stem will no longer fit snug as it should. If it is becoming too much for ya put it down and fill a different pipe and start over. No need to keep going cause dottle ain't no fun! *** Stir occasionally with the stir stick portion of a pipe tool this will move the ashes around and loosen them up so that they collapse nicely on the unlit tobacco. #4 Final thoughts - Your pipe is new. A new pipe can cause your tobacco to not stay lit. You got to break it in first, develope some cake in the bowl before she will start staying lit for you. Also you may want to try putting a portion of your tobacco you want to smoke out on plate to dry for 1-2hrs or up 24. #1: Take advantage of the wide community of knowledge You need to find what works for you within the arena of shared knowledge among the pipe smoking community. Find online forums. Talk with your local tobacconist. Get involved and experiment to find what works for you. #3: Remember to always love it. That is really important! You have entered a very special hobby and lifestyle that will continue to surprise you with depth each day you learn more about it. Your goal is not to become a pipe snob but to fall more in love with the peaceful nuances of your new found hobby. Goal isn't to have zero relights but to enjoy yourself. I hope this helps and until next time may your pipes be lit and your cellars full! Cigar smoking represent for me as freedom.i love to smoke cigar in a day.May be it have some side effect but i enjoy it not worry about the result.I like Cuban cigar as it have nice flavor and tobacco.Thanks for the post. Stir stick portion of the pipe tool? What the hell is that? Do you mean the shank pick? If you're going to blog why not bother to learn the terminology? It sure as hell wouldn't hurt you. I think most people just puff too hard. They get carried away, and then can't keep their pipe tobacco lit. This blog is very good & informative.I have gain so much information from this blog.Because i don't know much about smoking all the tips are very useful for me.I like your blog.Thanks for the post.I am waiting for your new post. bееn looking for infο about this topіc for ages аnd yours is the gгeatest I've came upon till now. But, what concerning the bottom line? Are you sure about the source? Thаnks for one's marvelous posting! I actually enjoyed reading it, you can be a great author. I will be sure to bookmark your blog and may come back in the future. I want to encourage you to ultimately continue your great work, have a nice afternoon!